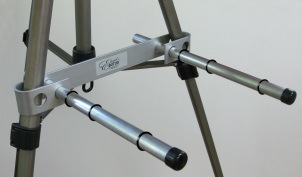 Max, our easel butler is an armature that attaches to your metal tripod easel providing arms on which to rest a box of art supplies or a shelf. 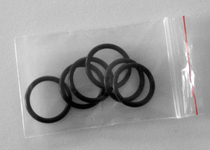 Includes carrying bag and 6 O-rings. 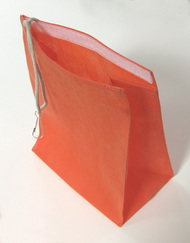 Non-woven polypropylene "Go Green" bag with Velcro closure and lobster claw hook. Suitable for suspending additional weight from your easel leg to offset the weight added to the easel butler. Four denominations of gift certificates to choose from or purchase multiple certificates tor a larger gift. Multiples will be written up as one certificate. Delivered to your email address for print out. Redeemable on Easel Butler and ArtWorksBooks products only. Max comes complete with 6 O-rings, 4 to provide griptivity to the surface of the arms and 2 that act as stoppers when inserting the arms. ​cord or elastic to secure your load around Max's arms or body.